As certified animal medical experts, our staff is dedicated to discovering the root of your pet’s health issues. We aim to provide top-quality customer service backed by exceptional animal care. As certified animal medical experts, our staff is dedicated to discovering the root of your animal’s health issues. We aim to provide top-quality customer service backed by exceptional animal care. With services ranging from routine wellness exams to spay and neuter surgery, our veterinary health professionals can meet your pet’s medical needs. Weir Veterinary Services offers our patient form(s) online so you know what to expect before coming into your appointment. We offer obedience training for destructive and embarrassing pet behaviors as well as instruction for basic obedience commands. been servicing the Lloydminster Area since 1952. Started by Dr. Glenn Weir in the living room of his home just a few blocks away from our current location, the spirit of Weir Veterinary Services still reflects its humble beginnings. The Weir Veterinary Team is committed to providing the best possible care and services for your companion and farm animals. We are well equipped with diagnostic equipment such as in-house blood analyzers, ECG, therapeutic laser, endoscopy, reproductive ultrasound, state of the art anesthetic monitors, digital radiology and dental radiology to ensure your pet is kept in the best possible health, and receives appropriate treatment when required. 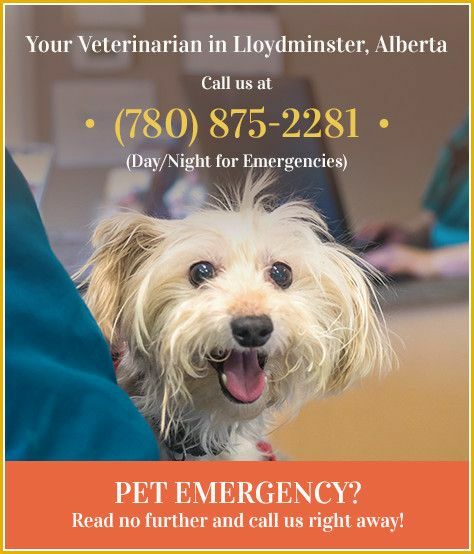 Weir Veterinary Services has multiple veterinarians that treat all types of animals, both large and small. Your animal's health and well-being are very important to us and we will take every step to give you and your animal the best possible care. Veterinary medicine involves constant education and our veterinarians are continually attending various trainings in their areas of their interest. We have veterinarians with special interests in reproduction, exotics, orthopaedics, game farming, surgery, endocrinology and ophthalmology. Our veterinarians strive to bring the best veterinary healthcare to their patients and to you our clients. comfortable, kid-friendly, and a calm environment so your pet can relax in the waiting room while interacting with our veterinary team. Dr Kim Christie showed my daughter and I so much understanding and made the whole process so loving and peaceful. Of course we were very emotional and she put us at ease and let my daughter be there for Oliver, holding him and making sure he wasn't scared. She showed such love and compassion for Oliver as well. I cannot thank you enough for that. He was a part of our family for 19yrs and there for my daughters whole life thus far. Thank you,Thank you, Thank you." "I want to thank the staff for helping us get through a tough time of euthanizing our family pet today. The staff was so caring and gracious giving us time and space during this tough decision. Allowing us private entry and exit, and time to be with him before and after shows the dignity and care they are known for. First class all the way. Thanks again!!!" "I have always had great service here, the vets really care about my three cats. They have waived small fees for me (a vet exam for a cat from the Bonnyville SPCA, a quick check up, etc). I couldn't ask for more. My little one, Clark, was just neutered and micrchipped. He was bleeding a bit the next day so I rushed him in, being the overprotective mom I am. The vet checked him out, didn't see any obvious problems but they said they would keep him overnight for free. Clark didn't show any further issues so I took him home. Just today I recieved a call from one of the lovely ladies who looked after Clark just to check in and see how he was doing. It was very sweet and appreciated. Nothing but 5 stars for this caring, professional and skilled team. I highly recommend them." "We highly recommend the Puppy Behaviour classes Jodine does. Couldn't be happier with the results we had with our Mastiff/Great Dane/St. Bernard puppy, I'd definetly go back to her, she never rushed and was always open to questions! Riley, our puppy, excelled, but better yet we now have the valuable tools of knowing how to work with him! Thanks for all your time!!!" "I am extremely pleased with the service we have received there over the last 6 weeks in and out of the office with appointments and concerns with poor Tokyo all the trial and error trying to figure out her poor foot. I believe we have finally found a successful treatment which has made me so happy! Thank you so much weir vet! You have brought ease to our minds and hearts." My boxer was just diagnosed with cancerous skin lumps on a Tuesday and they got her in by Friday for her surgery. This same thing happened 3 years ago in red deer and my dog required a lumpectomy which costed over 800$ in red deer. Here at Weirs, she had three lumps removed at it was around 350$. In red deer she would shiver and cry every time we went into the clinic, and when she came home post op she was very sick. At Weirs she isn't nervous at all and came home post op like nothing had happened. My dog was licking at her stitches and it started bleeding and Weirs had me in within 1hr, and gave me antibiotics, and did not even charge me a dime for that. I am so happy with this vet clinic and how accommodating and friendly all the staff members are. It's obvious the staff care more about the clients than the cash. I highly recommend this vet clinic for your fur babies! They are truly fantastic!